With beautiful Hubbard Lake as your backdrop and our historic inn as your stage, your wedding day and your guests experience will be perfect. We take pride in our ability to offer the best service and unique location in the area to make your dream wedding come to life. Our experienced wedding coordinator works with you to help create an exclusive wedding that will be remembered for times to come. Thank you for thinking of us for your special day. Congratulations and best wishes! We offer a wide variety of menu options from buffet options to plated gourmet dinners. Our chef will work with you to design a personalized menu using only the freshest, highest quality ingredients, prepared and served beautifully. 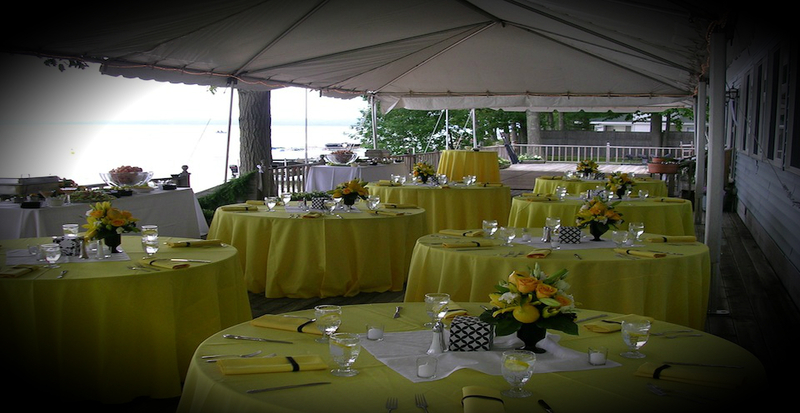 At Churchill Pointe Inn we are pleased to offer a unique location for any event big or small. Our ability to offer dining and lodging right on the beautiful shores of Hubbard Lake sets us apart from other locations. Contact us for availability & pricing.